Like us on Facebook and follow our journey through Italy! Morning at leisure to explore Monecatini Terme – and to enjoy the swimming pool. to be one of the most splendid examples of Renaissance art). Brief sound-check and meet members of the local church choir. 5.05 pm Arrive Sea-Tac airport (SEA) and meet families! Spectrum Youth Chorus, part of Spectrum Choral Academy, is based in Gig Harbor, Washington, USA (a suburb of Seattle). Founded in 2012, the touring Youth Chorus is made up of a select, auditioned ensemble of 19 singers ages 11-25. Music that deepens our understanding of ourselves and the world around us. Music that expresses that which cannot always be shared in the spoken word. Music that teaches us what it means to be human. 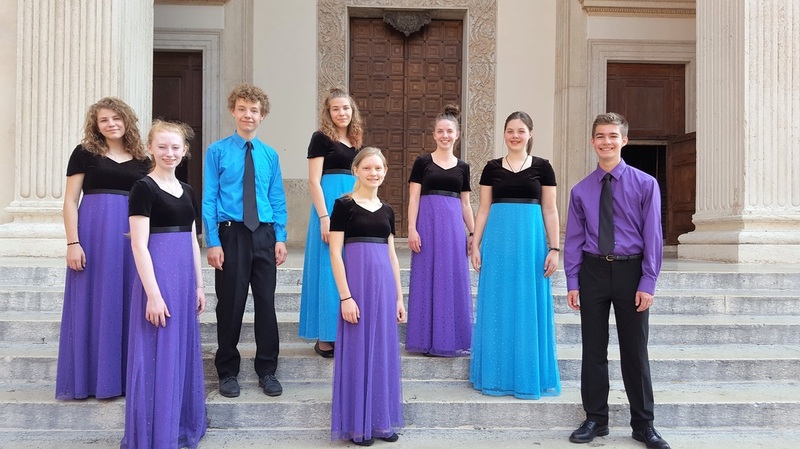 Spectrum choristers come from diverse musical backgrounds which include vocal, instrumental and theatrical experience. Many singers play instruments including piano, ukulele and clarinet. 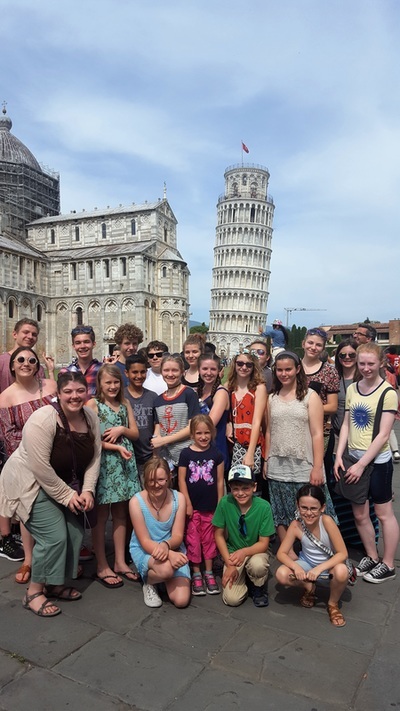 Some of our singers have toured with performing choirs to destinations including Costa Rica, Canada, New York City (Carnegie Hall), California and Hawaii. 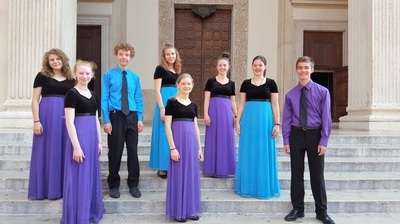 Spectrum also hosts the Fort Worden Children’s Choir Festival which takes place annually in Port Townsend, WA. 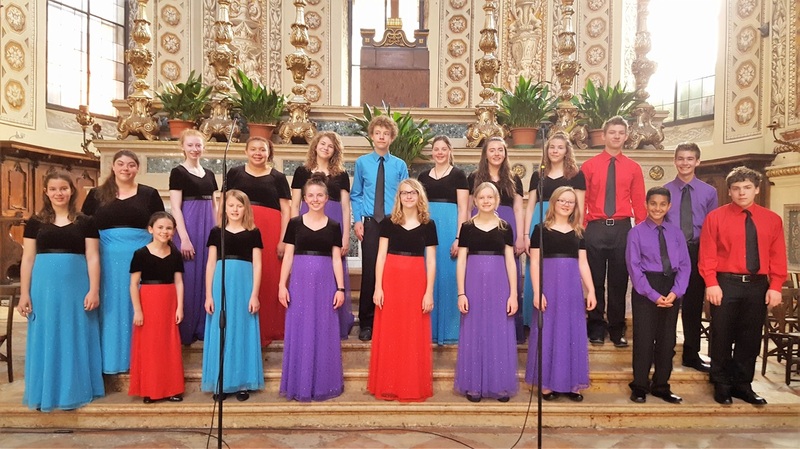 Now in its 15th year, this festival brings together 200 children annually from choirs around the United States and abroad. 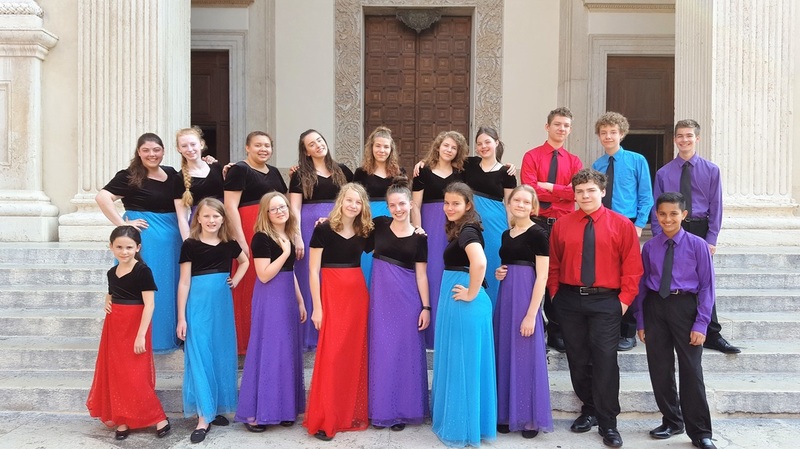 The 2016 Italy tour will be Spectrum Choral Academy’s first international tour! Artistic Director, Stephanie Charbonneau, began studying piano and singing in choirs at the age of 3. She now has over 20 years music teaching experience. A 2002 graduate of Pacific Lutheran University with a degree in piano performance, Stephanie has been conducting choirs for 18 years. In 2007, Stephanie had thyroid cancer surgery which inadvertently resulted in paralysis of her left vocal cord. A corrective surgery was done to insert a prosthesis, allowing the paralyzed vocal cord to still function. Stephanie was relieved to have a working voice once again and be able to continue her work of with children’s choirs. 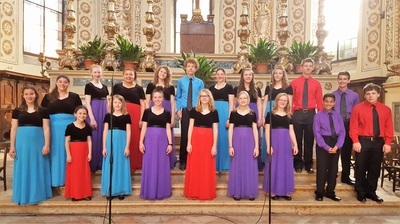 Stephanie is an active member of the American Choral Director’s Association. Her choirs have toured to Canada, Costa Rica, PICCFEST (Eugene, OR), The Pacific Rim Children’s Choir Festival (Honolulu, HI), the Manhattan Concert Productions Festival (Carnegie Hall 0 New York, NY) and California. Stephanie and her husband Donald coordinate the Fort Worden Children’s Choir Festival, Youth Choir Festival NW and Northwest Choir Camps. They live in Port Orchard with their three musically talented children. 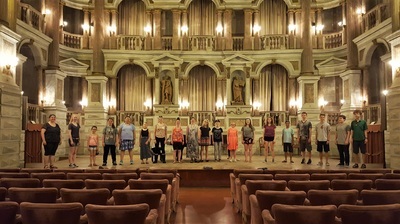 Thank you to the following Italy Tour Sponsors!